Make a statement without saying a word carrying the stylish Marc Jacobs® The Jelly Glitter Snapshot. Shoulder bag made from 100% durable glitter synthetic materials. Includes additional unattached zipper pouch in playful polka dot pattern. 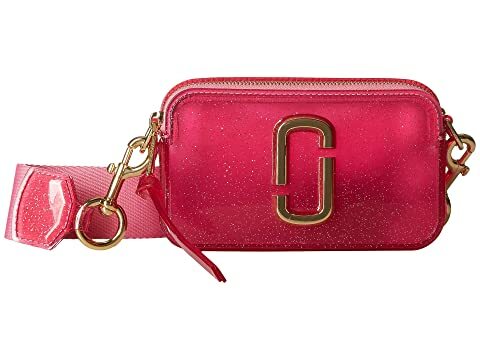 We can't currently find any similar items for the The Jelly Glitter Snapshot by Marc Jacobs. Sorry!